The injuries to Gerard Piqué and Jordi Alba, both were replaced during Barça’s win over Manchester City at Camp Nou, only serves to worsen Luis Enrique’s selection problems in defence. The Club’s medical staff have announced that the centre half has a right ankle sprain whilst the left back has a hamstring problem in his left leg. Both players will have further tests on Thursday to ascertain the exact extent of their injuries. Jordi Alba was substituted after just 10 minutes of the first half by Lucas Digne. The Spanish international missed the game last weekend against Deportivo after picking up an injury on international duty for Julen Lopetegui’s side. For his part, Piqué was injured after a challenge from Manchester City midfielder David Silva. 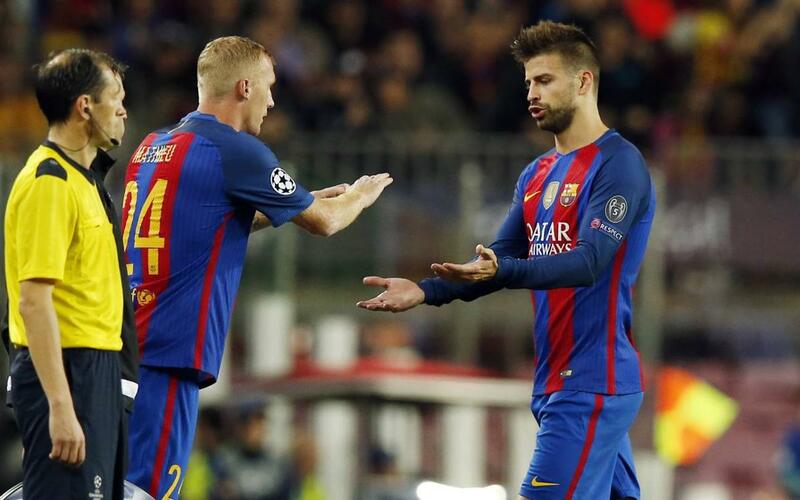 The defender tried to continue but to no avail and was replaced by Jérémy Mathieu before the break. It was not all bad news for Barça as French centre half Samuel Umtiti returned to action for the first time since picking up knee injury in training on 20 September. The international defender celebrated with a splendid performance at the heart of the defence against Manchester City.